2015: Voted for S. Amdt 515, an amendment to allow states the choice of opting out of Common Core. 2014: Sponsored Senate resolution denouncing Common Core. 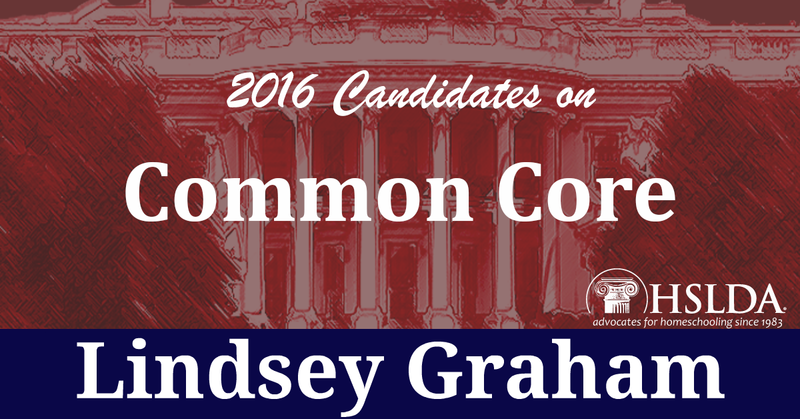 SUMMARY: Senator Graham is a strong opponent of the Common Core Standards. Photo Credit: First image graphic design by Andrew Mullins; second image via Lindsey Graham.